For this card I used a white linen 8" x 6" card blank. The sentiment was generated and printed from my computer and cut to 8" x 1.75"
one edge with a Martha Stewart Lace Heart Edge border punch. to the base card using 3D foam strips. positioned and glued onto the card. To finish, I added some small punched flowers and gems. This is stunning! 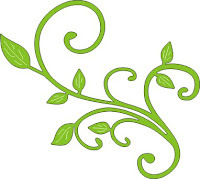 Love that delicate border, it's just lovely! 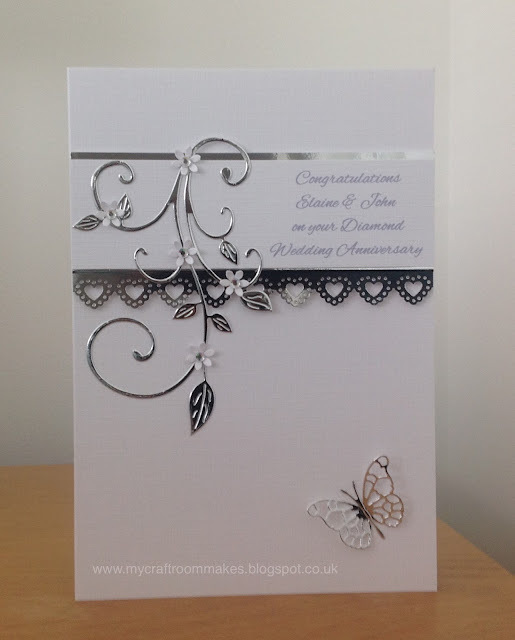 The flourish and butterfly in silver are fantastic! What a keepsake! That Cheery Lynn Flourish is my only flourish die because I like it so much. Great pairing of dies with the punched border. Very elegant card. OmG! this is a beautiful and lovely card!!! This is so elegant and incredibly stunning! 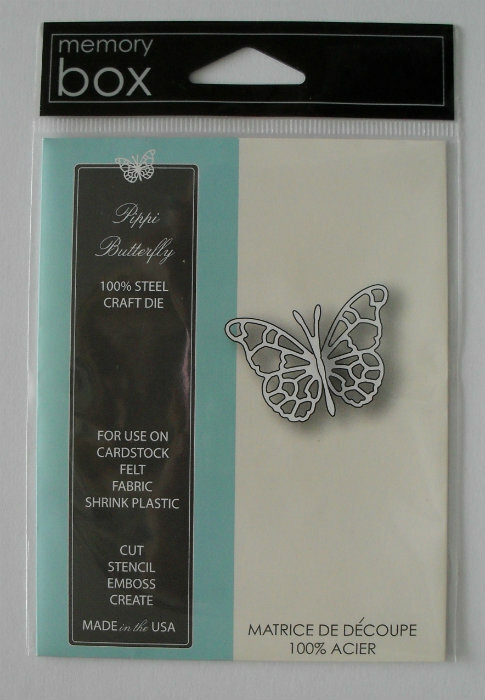 I love the lacy border and that sweet silver butterfly. Gorgeous!! Simply beautiful! Love it, so elegant. Oh my that is so gorgeous and elegant!! Simplicity is the key to elegance, Love the CAS feel of this beauty.